Sure, your home computer provides plenty of entertainment and gives your kids a chance to play games or interact with their friends. But have you considered how useful computers are when it comes to teaching kids about finance and how to handle their money? While it was important for us to learn about money basics when we were growing up, our kids will face financial challenges that we never dreamed of. Luckily, some excellent software programs can help you teach your kids the basics of money management in fun, interactive ways. Check out these four tools for preparing your kids for the future. A virtual bank account is one of the most basic learning tools, and KidsSave goes the extra mile in building features that make the experience more realistic for your child. In fact, you can set up an automatic “deposit” for an allowance, and then teach your kid to set savings goals. The KidsSave tools show how interest and compound interest works with the program’s interest tracker. Your kids can even earn rewards, including “matching funds,” from a program that you design for when they reach their savings goals. Finally, the program includes a “What if?” section that allows kids to calculate how much they can save by changing the interest rates and savings goals. The software is distributed by Kidnexions for $19.95, and they offer a 35-day trial version, so you have time to set things up and then run the software for a month to test it out. It works with either Windows XP or higher or Mac OS X v. 10.4.11 or later. If you have more than one child, MyBudgetPlanner is great because you can set up multiple budgets. You have a choice between the children’s version for kids ages four through eight and the teen version for ages nine through sixteen. The software is designed as a total money manager for your children. With it, your kids will keep track of every aspect of their money and learn how to budget it in the process. They will learn the everyday basics of money management, like recording banking transactions and creating budget categories to live by. The software is built to let your kids pay themselves first, and it places an emphasize on giving a portion of their income to charity. Downloading the software costs $15 for the children’s version and $19 for the teen version. The full CD versions cost $29 (kids) and $24 (teens). It’s compatible with Windows versions 95 and up, but the CD is recommended for Windows 95, 98, or ME. What makes Money Smart for Kids unique is its special attention to entrepreneurship. Your kids will learn about being in business for themselves: what makes customers buy and how to set goals to achieve their business dreams. It offers lists of potential virtual businesses that your kids can start, and then gives them an outline of how to do it. In addition, the software offers basic money management tools that teach kids how to save, spend, and plan for long-term financial goals. It also includes games that are designed to increase money smarts. The software is geared for kids ages six through thirteen, and the producers tout that the program is designed to grow with your kids as they become more mature “business owners.” It’s compatible with either Windows or Mac and costs $9.99. Dave Ramsey is known for his great advice to adults on saving and budgeting, but now he offers software that is specifically targeted towards kids as well. Financial Peace Jr software will teach your kids all they need to know about saving, spending, and budgeting their money. It comes with a paper envelope system, an audio CD, a kid’s calculator, dry erase boards, and a clip-on coin case. Financial Peace Jr is designed for kids ages three through twelve and costs $12. Don’t you wish that these great software packages were available when we were kids? Who knows, maybe your kids will grow up with a great grasp of finances because of the new sense that parents have to do all they can to ensure their kids understand exactly how money works. I searched diligently for the best financial software out there for kids, but if I missed one that you think is great, please share it in the comments below. 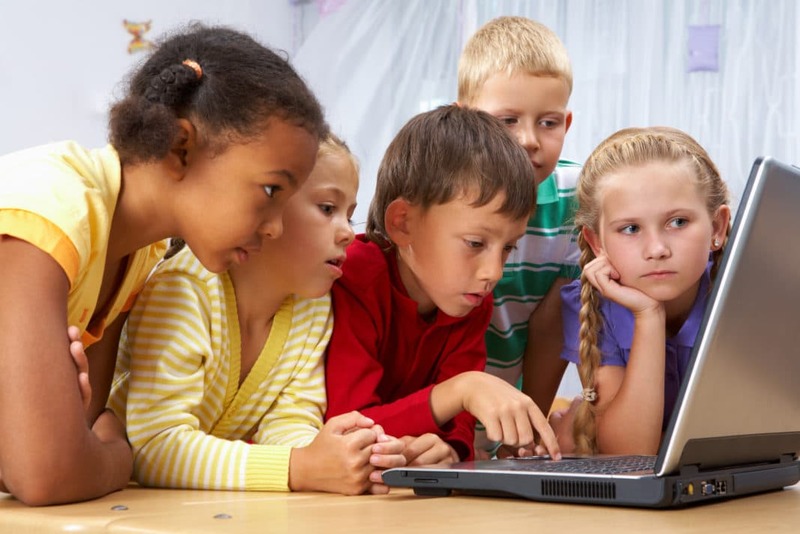 Also be sure to check out the top kids educational websites for leaning about money management.